Ms. Siebel started her career as a psychiatric social worker and through the years, her responsibilities grew to include Senior Social Worker, Clinical Supervisor, Director and Executive Director. In July 2008, Ms. Siebel was named Executive Director of HCC. In 2011, Ms. Siebel was instrumental in orchestrating steps toward getting HCC awarded the status of becoming a Federally Qualified Health Center. Through her tenure at HCC, Ms. Siebel has spearheaded the organization through its growth, instituting new programs; including two (2) NYCDOH substance abuse programs, receiving additional grant monies and expanding both sites and services as well as building partnerships, collaborating on key initiatives, maintaining facility recognition as an NCQA patient centered medical home, participating in DSRIP and certification as a NYS Health Home. Ms. Siebel has spent 35 years working with impoverished families experiencing chronic stress as well as adverse childhood experiences in the not for profit environment. Ms. Siebel oversees all aspects of running three (3) health centers, and two (2) medical and behavioral health programs in shelters. Ms. Siebel along with her executive team is responsible for long term and short-term goals of the CQI Strategic Plan. Ms. Siebel assures compliance with all Federal, New York State and applicable municipal legal entities, reviewing and acting upon directives and requests of such entities. She is responsible for management and legal compliance of the Federally Qualified Health Center grant from HRSA, preparing activity reports and in setting agendas for monthly meetings of the Board of Directors. Ms. Siebel’s daily oversight includes management and all operational responsibilities to achieve optimum health care for patients of all age groups. Ms. Siebel is a graduate of Rutgers College and Rutgers School of Social Work and is a licensed LCSW-R with the New York State Education Department. She is an Eye Movement Desensitization Reprocessing (EMDR) trained therapist who specializes in working with trauma survivors and has maintained a private psychotherapy practice for over 25 years. Chief Medical Officer: Asya Levy, M.D. Dr. Asya Levy has been the Medical Director at HealthCare Choices since July 2007. Dr. Levy is Board Certified in Internal Medicine and Geriatric Medicine. She completed her residency training at Woodhull Medical and Mental Health Center, affiliated with SUNY Downstate, where she served as Assistant Chief Resident. She also completed a fellowship in Geriatric Medicine at St. Vincent’s Medical Center. Dr. Levy has extensive experience treating Geriatric patients with multiple comorbidities such as Hypertension, Dementia, Diabetes Mellitus, Asthma, Arthritis, Osteoporosis, and Gastrointestinal Disorders. She is able to provide quick and accurate reports and treatment documentation to ensure continuity of care among multiple providers and caregivers. Dr. Levy treats her patients personally and with as much care and attention as if they were a part of her family. Dr. Levy has earned numerous awards and honors during her career, not only for her academic acumen but also for her outstanding ability to earn the trust and respect of her patients. She was recognized as the Most Compassionate Doctor in 2011, 2013, 2015 and 2017 and received America’s Popular Physician award in 2013, 2014, 2016 and 2017. She has presented at many professional conferences and her background includes conducting research and evaluation studies. She is fluent in six (6) languages, which include English, Russian, Farsi, Uzbek, Spanish and Hebrew. Dr. Levy was appointed as HCC’s Medical Director in July 2007. She has oversight of the QA/QI committee as well as all related projects. Dr. Levy attends conferences, webinars and trainings regarding all areas related to quality assurance as well as all clinical and administrative topics. Philip Silverman is a New York State Certified Public Accountant (CPA) who has served as Chief Financial Officer of ICL HealthCare Choices since 2012. Prior to joining ICL HealthCare Choices, he served as Chief Financial Officer of a New Jersey based FQHC for six (6) years. Mr. Silverman has extensive accounting experience, having worked in the field for more than 40 years. He has worked not only in public accounting but also in a brokerage firm and a pharmacy chain as both an accountant and controller for 25 years. Mr. Silverman became a Certified Public Accountant in 1982. He earned his Masters of Business Administration (MBA) degree from Long Island University in 1980 and a Bachelors of Business Administration (BBA) degree from Baruch College, City University of New York in 1976. 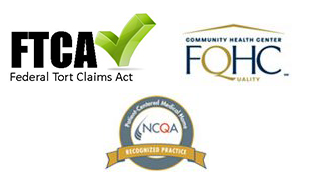 Mr. Silverman has attended conferences and trainings offered by CHCANYS, HRSA/BPHC, SAMSHA and CohnReznick. Topics have included UDS, Compliance, Value Based Payments, and financial reporting regarding reimbursement, reconciliations and various other topics. Debra Sorkin holds a Master’s degree in Healthcare Administration from Hofstra University and has over 30 years of experience in the health care industry. She served as the CEO of an FQHC for six (6) years, and was the Executive Director of Practice Management and Managed Care at Bronx Lebanon Hospital Center in New York City, and oversaw 20 clinical sites, nine of which are Federally Qualified Health Centers for eight (8) years prior to joining HCC in May 2016. She has taught on the graduate level on Public and Community Health at Stony Brook University and was an adjunct professor at Hofstra University where she taught several classes in a postgraduate certificate program. Ms. Sorkin was a Board Member of the Primary Care Emergency Preparedness Network, a joint venture begun with CHCANYS and PCDC to address Emergency Management amongst FQHCs, hospitals and health providers. She attends conferences, webinars and trainings addressing compliance, emergency preparedness, local, state and federal rules and regulations as well as financial reimbursement, quality assurance and cultural diversity. Wing Chu obtained a BS in Electrical Engineering from Polytechnic University. He has worked in the IT industry for over 30 years working with for profit and not-for–profit agencies. Mr. Chu’s IT experience includes developing, maintaining, supporting, and optimizing key functional areas, particularly network infrastructure, server infrastructure, data communications, and telecommunications. He is fluent in Cantonese and has a working knowledge of the Spanish language. Mr. Chu joined HCC as Director of IT Services in February 2014. Mr. Chu attends various conferences, webinars and trainings offered by organizations including CHCANYS, Azara and NYCDOH. Topics include IT security/cybersecurity, Protecting PHI and HIPAA as well as updates on IT programs, templates and systems. Jamila Gonzalez is a Registered Nurse who obtained her degree from Long Island Community Hospital School of Nursing in 2009. Ms. Gonzalez has worked in the health field for the past nine years and has always concentrated on Quality Improvement and Quality Assurance. Ms. Gonzalez’s experience includes integrating federal, state and local initiative programs into the daily health center workflow. These include DSRIP, CPCI through CHCANYS, and other Data and IT programs, which require creating, supporting and tracking needed statistics and programs throughout the organization for reporting purposes. She also is a PCMH Consultant for PCDC. Ms. Gonzalez joined HCC as CQI Director in April 2018.